Fresno, California: The number one producing agricultural county in the entire U.S. also happens to suffer from some of the highest percentages of obesity and type II diabetes. One out of every three children and 70% of adults in the valley are obese despite the fact that fruits and nuts, vegetables and livestock are the top three products (respectively), that the county grows. The place, the people, the history of food production and the current situation is as much a demonstration of how awry the American food system has become, as much as it has the greatest potential for change. (It ain't the fruit that's causing the weight gain. It's primarily corn syrup and processed foods.) If Fresno can meet more of it's food needs locally instead of exporting all of its' products, if residents can grow more fresh foods and start reversing the detriments of industrial food on human health and land, then other parts of the country stand a chance too. No pressure Fresno. We're all rooting for you! Thanks to all the great organizations here in Fresno that have invited me to come down, Fresno Metro Ministry and the Fresno Community Garden Coalition. 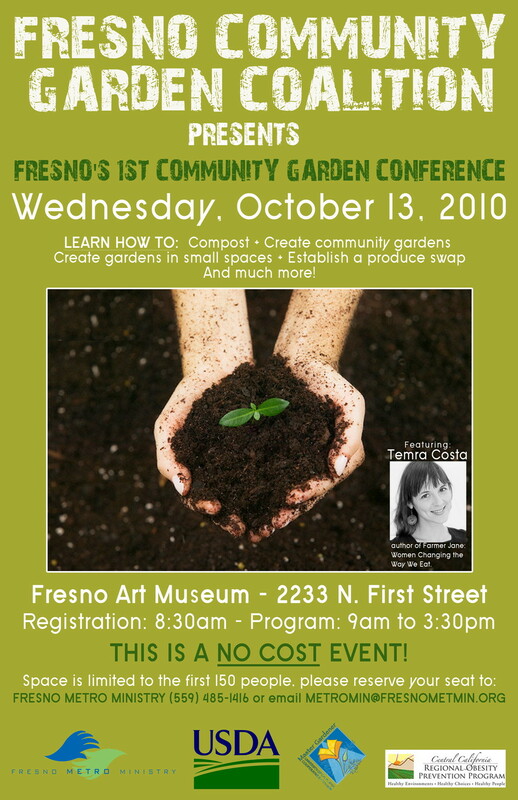 USDA and CCROPP are also sponsors of the first ever, contemporary community gardening conference in Fresno. 'Contemporary' because I reckon that people used to meet all the time to talk about food when gardening was second nature. "World Savvy prepares the next generation of leaders to learn, work and live as responsible global citizens in the 21st century. We support systemic change in K-12 education to provide every student in every classroom with the content knowledge, skills, values and attitudes to be leaders and changemakers in their diverse communities, locally and globally. 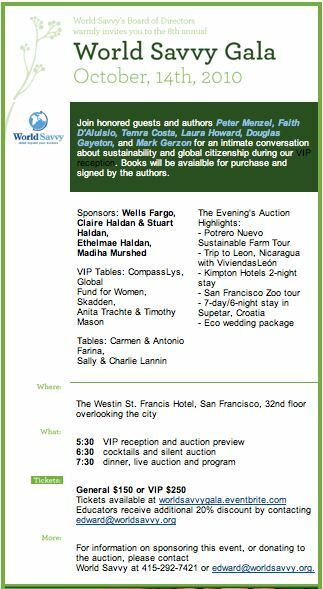 World Savvy was founded in San Francisco by Dana Mortenson and Madiha Murshed in response to a critical need for youth to acquire global knowledge and 21st century skills within the conspicuous absence of global education programs in K-12 education in the United States. Since that time, we have grown from serving 90 students and 20 teachers in our first year, to reaching more than 6,000 youth and 1,100 teachers annually from three offices nationally: San Francisco, Minneapolis-St.Paul and New York." Check out their website as they're doing a beautiful job educating kids about international issues and the environment. This year, they are particularly focusing on sustainable food solutions.